Wondering how to work with Jelastic NoSQL databases remotely? 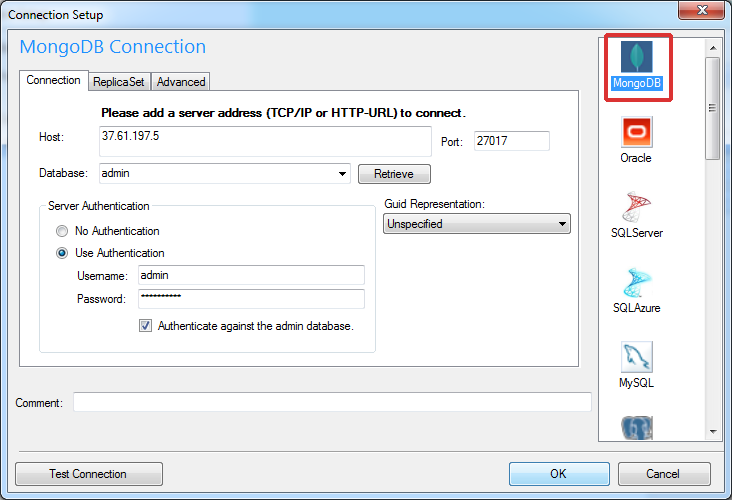 It’s pretty easy with our new feature – Public IP addresses. 2. 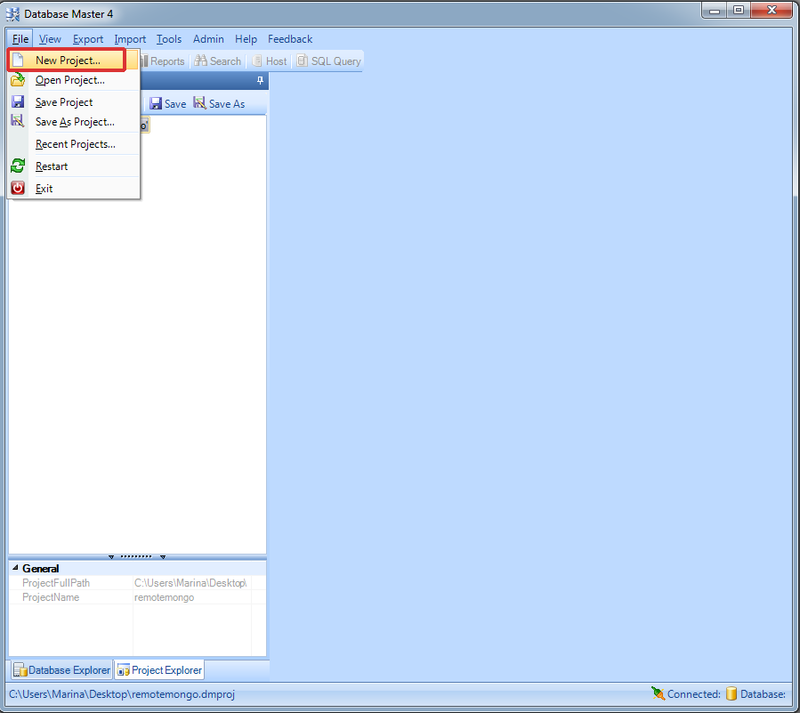 While in the Jelastic dashboard, click the Create environment button at the top left. 3. 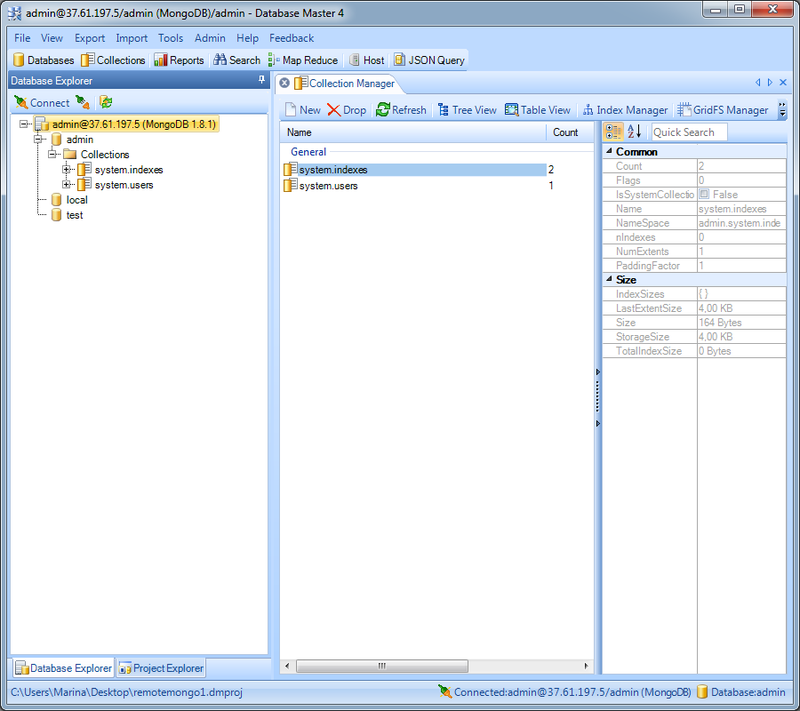 In the Environment Topology dialog, pick your application server (for example, Tomcat 6) and MongoDB as the database you want to use. Switch on Public IPv4 for MongoDB. Then type your environment name, for example, remotemongo. 4. 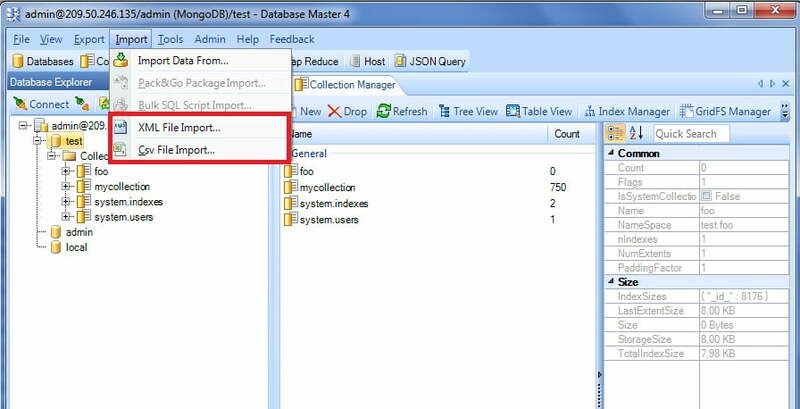 Click the info button for MongoDB and you’ll see your Public IP at the end of the dropdown list. 1. 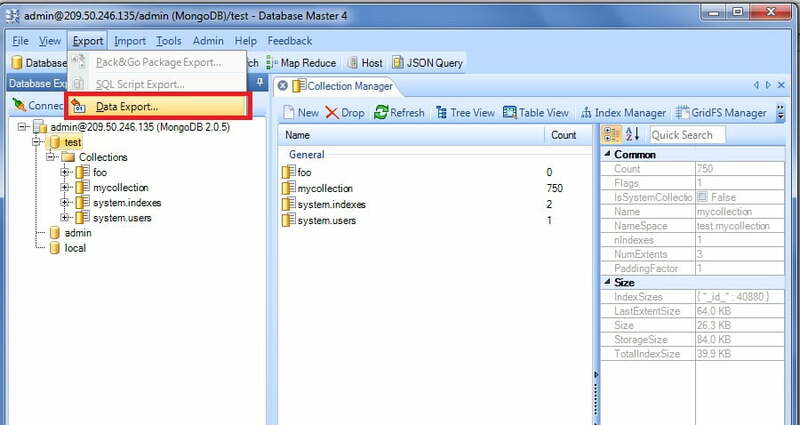 Create a new project using any desktop client suitable for MongoDB (we’ll use Database Master 4 as an example). 2. Specify the host (your Public IP), port number (27017), username and password (when you created the environment, Jelastic sent you the email with credentials to the database). 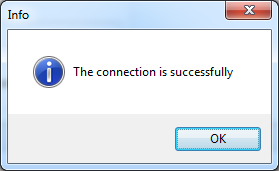 Then click Test Connection. 1. Click on Import and select the type of file you want to import. 2. 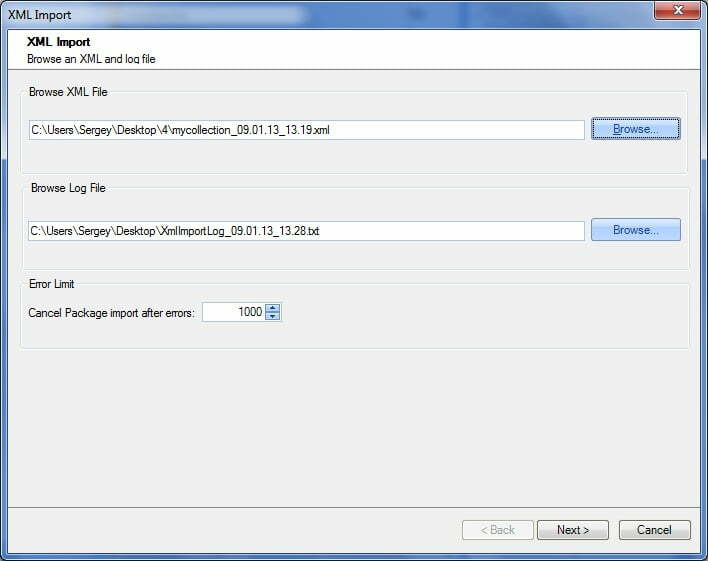 Browse XML/Csv file, you want to import. Then browse a log file. 3. 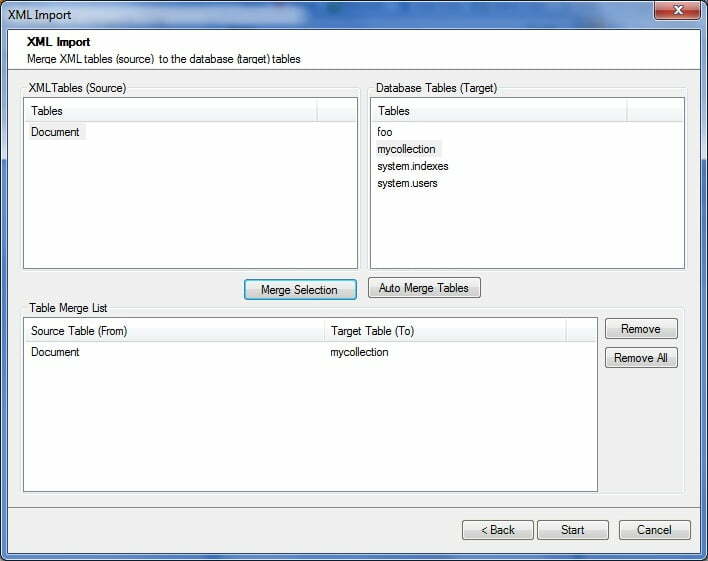 Merge source tables to the target tables. 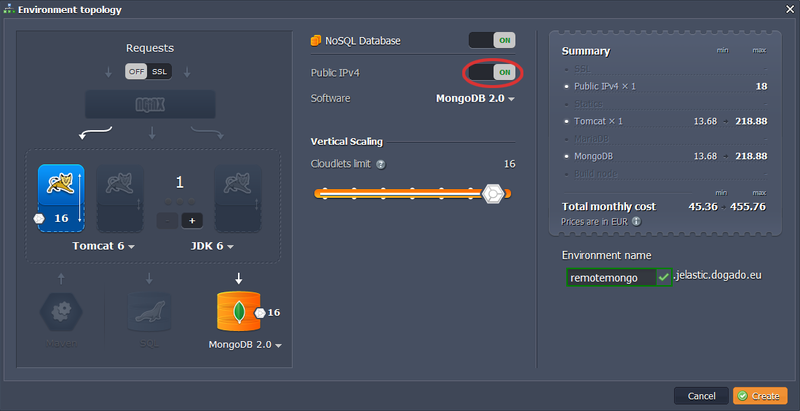 Now you can go back to the Jelastic’s dashboard, open MongoDB in a web browser and find imported dumps in the test directory. 1. 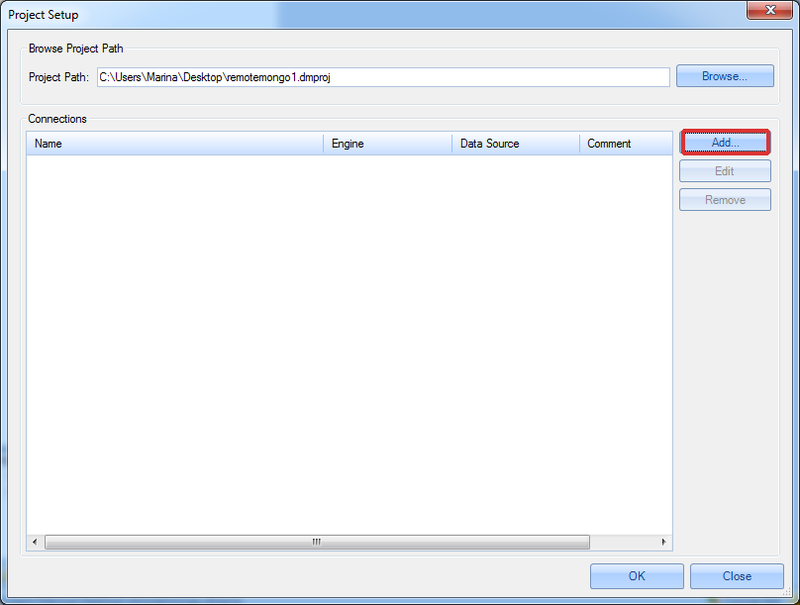 Click Export -> Data Export. 2. 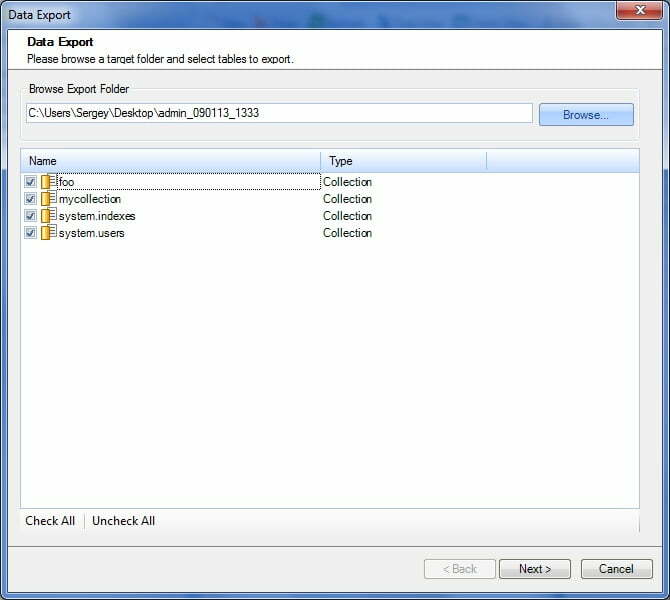 Browse a target folder and select tables to export. 3. 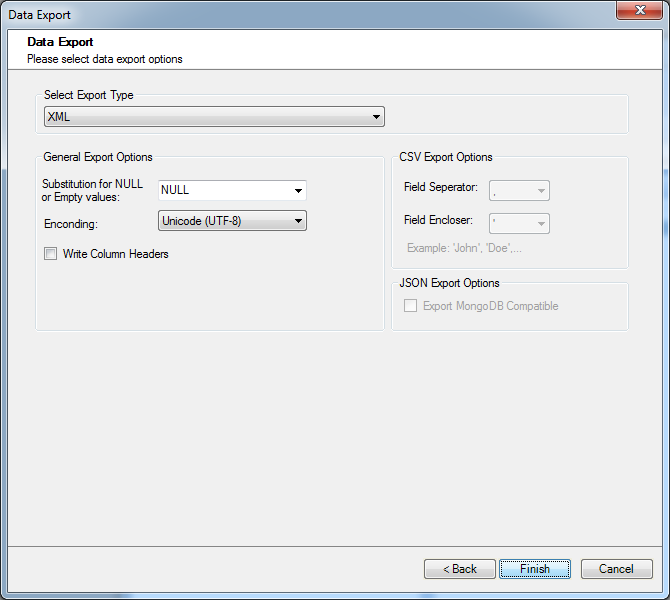 Select data export options and click Finish. Hope this instruction will be useful for you. Stay tuned!